“I grew up in New Orleans, which is widely known as the northern capital of the Caribbean. In 1988, I set out to explore the Caribbean for 8 years on frequent trips to satisfy my love of scuba diving and the vast array of music, cuisine, and cultures. This led to my first love of rum and 30 years later, those first choices for rum still hold up today. 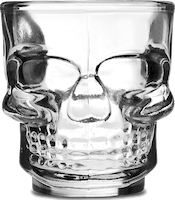 This website has added to those first choices, along with the knowledge to let the rum breathe in the snifter before sipping. 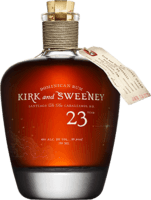 After tasting and reviewing more than 180 rums in my first 12 months on here, only 30% wound up being rated at 5 or below and this is with some advice from fellow reviewers. The whole point of this website is for us to avoid the dreck by reading these reviews. What keeps me going is the hopes of adding to my 10% rated above a 7. And as you have guessed, a whopping 60% wound up with a 7 or 6 rating, so ranking them all in order in a spreadsheet was absolutely essential. Once they are ranked along with the cost for each, a Q-PR can be calculated to separate the good buys from the other ones. And as most of us already know, never be suckered into buying a rum based upon it's pretty bottle. Since I am retired, I really need to be cost conscious. 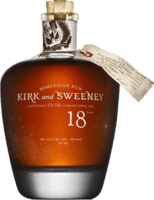 I have found that for any rums costing less than $30 US, there is only a 15% chance that I would want to buy any of them again. Moving up to the $30 to $65 US price range, that same percentage jumps up to 50%. Of course, this comes from help in reading plenty of these reviews. Beyond $65, none were deemed worth buying again and only half of them rated higher than a 7 as guilty pleasures. 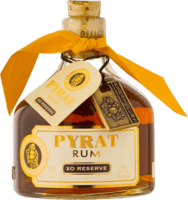 As for those 12% of my rums that I have rated higher than a 7, the cheapest one that I found was $20 US. 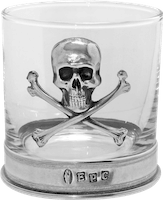 For any rum rated that high and costing less, I suggest that the buyer beware. After 13 months of sipping and writing reviews on here, I have come to the conclusion that it is extremely hard to find more than 200 rums to rate within a 100 mile radius of a big city, providing one like me refuses to buy bottom shelf crap by Bacardi and Captain Morgan. This adventure has led me to some pretty damn good ones that I could never have found otherwise!!! Mint and vanilla and exotic spices from Trinidad Having tried Angostura 7-Year several years ago, I was not at all pleased with it and told myself that they should just stick to making great bitters. I finally found an artisan cachaca This artisan cachaca has been available on the shelves of my favorite liquor store for some time, but I saw several bottles of Avua on the top shelf. 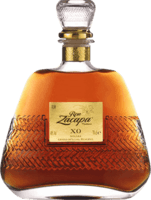 A great Cuban style mixer In my quest to find a better white rum than Plantation 3 Star Artisinal, I chose this one only because Vizcaya Cristal is not available where I live. The brilliant and hilarious website is much better than the rum First off, I am not a fan of spiced rums. Having seen large quantities of this stuff on the grocery shelves for years also put me off from trying it.